With the establishment of the railroads in the 1880s, goods were transported across the state to Ludington for shipping across Lake Michigan to Chicago and Wisconsin. Industry and commerce in the area increased, and of course the population followed. Word spread about the beauty, resources and the opportunities, which spawned a growing community followed by its recognition as a desired vacation destination. *Apartment co0mp-lexes and downtown apartments are also available for rent ranging from $500 – $1,500 per month depending upon sizes and amenities. Pere Marquette Village, starting in the mid-1800s, was located on Pere Marquette Lake’s eastern shore and owed its existence to the burgeoning lumber, shingle and shipping industries. Shops and businesses and the original hospital were also located there. Victorian and early 20th Century homes still dot the area. Newer neighborhoods grew on the east side of Pere Marquette Lake, as well as luxury condos more recently, and all offer the enjoyment of easy access to marinas, shopping, dining, Waterfront Park and of course, watching the S.S. Badger come and go with passengers heading to and from Manitowoc, Wisconsin. If an easy walk to everything is your style, the tree-lined streets north of Ludington Avenue may be for you. With a westerly wind you’re close enough to hear the waves from Lake Michigan, plus walk, bike or take a short drive to the beach, shopping, dining, parks and cultural amenities. Cozy, post-WWII bungalows snuggle in with newer homes, clever DIY upgrades, rehabs and re-dos, and don’t be surprised to see a couple of modern new-builds as well. Further east on Ludington Avenue modest Victorian beauties to former lumber baron mansions have been carefully restored and are proudly displayed. Folks who like a little elbow room will find it in Forest Hills Subdivision on Sherman Street north of Tinkham. One of the first subdivisions created in Ludington, the homes date from around the 1960s. The area is adjacent to Ludington’s School Forest Park with four-season fun, including hiking, biking, disc golf, snowshoeing and more. Today, this area is known as the Maritime Community, which encompasses the majority of the City of Ludington and the Downtown area to Lake Michigan. At the turn of the 20th Century, railroad tracks were constructed to extend from Old US 31, skirting east of downtown then heading northwest toward Lake Michigan to service several sand excavating sites near what is now Ludington State Park. A spur continued east around the south end of Hamlin Lake north to Middle Bayou and created the opportunity for building new communities along the way. The Epworth Assembly summer colony on Lake Michigan, was designed in the mid-1890s by an organization from Ohio to serve as an Episcopal-Methodist training facility and community with a hotel and cottages. It even had its own railway, the Epworth League Railway, which operated between Ludington and its community on the shores of Lake Michigan beginning in 1896. Today, the 250-acre Lake Michigan beachfront community has over 200 cottages, tennis courts, 9-hole golf course and museum. Services and spiritual opportunities are still available and the area is known by locals and visitors today as the Epworth Community. With prime views of Lake Michigan, this next neighborhood is a favorite of any vacationer, or anyone looking to enjoy year-round access to the Lake. Sandy Shores and Sunsets offers the pristine shoreline to Michigan’s sandy beaches. The tranquility, space and privacy this area provides offer an amazing location for a primary or secondary residence. Buttersville Peninsula, named for former Ludington businessman Horace Butters, borders both the western shore of Pere Marquette Lake and Lake Michigan. Newer lakefront homes share the area with older homes and cottages, and views of both Lake Michigan and east over Pere Marquette Lake are not to be missed. Buttersville Park and Campground and Starport Marina and Campground are also located there, as well as the Father Marquette Park and Shrine. Buttersville Park is said by many to have the most spectacular view of the Lake Michigan shoreline. As passengers began traveling the tracks set up for the industrial sand-mining operations along the tributaries of the area, people began moving north on the spur along the east side of Hamlin Lake, near what is now Lakeshore Drive toward Middle Bayou. It soon became a popular cottage community, as vacationers were bewitched by the area, just as people are today. Over time, many of the cottages have been converted to year-round homes, some rebuilt, while others remain as they were decades ago. The bayous, including the North Bayou farther up Lakeshore Drive, have parks and boat launches with access to Hamlin Lake, creeks and rivers. This area is considered the Hamlin Lake Resort Area, a popular place for visitors. Hamlin Lake is a recreational haven for boating, paddling and watersports of all kinds. Presenting a quiet retreat with a slower pace and privacy, this is a popular place for second homes. It gives those in the area the sense of community through the offering of subdivision and suburb living. *Homes in this area typically come with acreage and/or have lake frontage. Smaller homes may be available in this area at $190,000 – $300,000 with smaller lots and no lake view. Continuing North from Hamlin Lake, you will find the nationally acclaimed, Ludington State Park and the Wilderness Recreation Area of Mason County. This secluded, quiet, spacious area is great for the outdoor enthusiast. Nestled close to the Nordhouse Dunes Wilderness Area, as well as the Manistee National Forest, this grants access to some of Michigan’s top places to hike, bike, paddle and more. *Homes in this area typically come with acreage except those in the communities of Scottville & Custer where small village atmosphere exists. Much of the area to the east of the lakeshore is still undisturbed, much like it has been for years. Rolling farms and orchards have been in the same family for three and four generations. This area makes up the two largest areas of the county. Fields and Farms is known for a rich agricultural history, and this neighborhood is still a bustling farming community. Sprinkled with beautiful, large, generational farm homes and rolling countryside, this area is abundant with produce that can be found at the weekly farmer’s markets, or directly at the farms within the area. South of US 10, you will find the other agricultural region of Orchards and Country Farms. Find quiet, rolling hills with rows of fruit-laden apple trees and agriculture. This area is perfect for those who enjoy their space with room to grow along with the opportunity to make a quick trip to town. Scattered with lakes and land, this area offers a bit of everything. Today, a large area just east of US 31 highlights the blending of old and new as the Consumers’ Lakewinds Energy Park dots the skyline with 56 sustainable producing wind-power towers. Between the two large agricultural hubs for the county, you will find one of Michigan‘s finest fishing and paddling rivers. The Pere Marquette Natural Scenic River and Pere Marquette Corridor is an area that offers the perfect cottage or year-round home oasis. Relax on the riverfront surrounded by woods and nature. The Pere Marquette River Corridor is a great place for those wanting space, privacy and the always-available fishing opportunity. Lease & rentals dominate this area ranging from $500 – $2,000 per month. 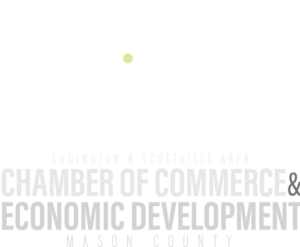 Just off the Pere Marquette Corridor, from the east end of the City of Ludington, to the City of Scottville, you will come through the Commerce Corridor. One of the area’s smallest neighborhoods by size, but largest in terms of density and population. Access to large commercial shopping, amenities, and home improvement interests, this central corridor is an all-encompassing resource for many retail needs. This area is the main access point for downtown and the highway. Made up of mainly commercial storefronts, a mix of apartment living is found here as well. *Many homes in this area are lower building quality/pre-manufactured homes. The final neighborhood that makes up the Mason County fabric is the Quiet Lakes and Quaint Villages. This area encompasses the northeast corner of the County and extends down to US 10. Never far from an inland lake, this area provides four seasons of fun, guaranteed. Smaller in scale with quiet surroundings, there is plenty of space to grow and be close to all that the woods can offer. Within minutes of the Manistee National Forest, this is a great place for the outdoor and hiking enthusiast. The desire to live near the water is centuries’ old and began as a necessity for survival. Lake Michigan and the area’s rivers, lakes, open farmlands, orchards and forest still play an important part in Ludington’s industry and commerce, while offering a richer quality of life for its residents.